In Book 2 of the Silver Trilogy, contemporary teen Liv Silver continues visiting dreams, juggling her first romance, and adjusting to her new life in London. It’s been nearly four months since Liv, her sister, Mia, and their mother moved in with their mother’s English boyfriend and his teen twins. 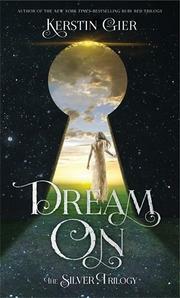 In Dream a Little Dream (2015), Liv discovered she can visit her dreams as well as those of others, who, in turn, drop in on hers. Relieved her delusional classmate Anabel’s now residing in a psychiatric hospital after trying to kill her, Liv still senses an ominous presence in her dream visits. Despite her preoccupation with her boyfriend, Henry, there are many unanswered questions in Liv’s life. Who’s writing the school Tittle-Tattle Blog, exposing embarrassing secrets about her? Why has Henry never told her about his family? Who’s the gorgeous older woman Henry visits in a dream? Is Anabel really out of the picture, and can Henry be trusted? And most importantly, why has Mia started sleepwalking? To answer these questions, Liv spends still more time visiting dreams, with dangerous consequences. While Liv’s first-person account of her roller-coaster romance and escalating fears seems credible, complicated dream-world protocols and scattered focus may leave readers confused and unsatisfied.